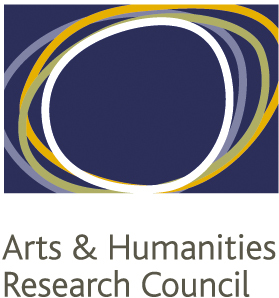 The Temporal Belongings Network started in 2011 with a grant from the Arts and Humanities Research Council-led Connected Communities programme. Since then we have organised a wide range of interdisciplinary events that have brought together academics, community workers, activists, designers and the general public. Our website provides a range of resources including presentations from our events, an interview series, updates on time-related events happening across the globe and our library of published material on time and community. We have also run a number of research projects including Memories of Mr Seel’s Garden, on the temporalities of local food activism and Sustaining Time which looked at time and community-driven sustainable economies. Our approach starts with the assumption that time cannot be treated as abstract, seemingly objective, or as a ‘natural’ fact of life. As anthropologists and sociologists have long noted, time is not a neutral container for social life. Instead we treat time as a source of values, concepts and logics that are used to negotiate the complexity of social life. We believe it is essential for critical work on communities to examine how time is caught up in the core issues at stake. Some particular areas of concern are: the role of time in social methods of inclusion and exclusion, the production of social norms, understandings of legitimacy and agency; processes of social change; communal futures and pasts; temporal infrastructures of delay, acceleration etc and their uneven global reach; the pacing of different forms economic activity; and the knots of time woven in more-than-human worlds. The Temporal Belongings network thus aims to support researchers in the Arts, Humanities and Social Sciences to develop interdisciplinary understandings of the interconnections between time and belonging. We also support collaborations with wider networks of experts, professionals and activists working within communities, where we are interested in finding ways to make temporal issues more explicit so that they can be debated, challenged and transformed by the communities they affect.